Today you will discover How To Use Parsley To Dissolve Kidney Stones. Kidney stones, a condition that affects 1 in 10 people throughout the world is extremely painful. These are not like the stones that we see on the roadside, but kidney stones are hard deposits of minerals and salts that are formed within the kidneys or sometimes in the urinary tract. Anybody can be affected with this condition, but males between the ages of 30-50 years are the ones who suffer from this condition the most. Women also develop kidney stones, but the ration is comparatively less. If the level of calcium, uric acid or oxalate in the urine is high. If a person doesn’t drink enough volume of fluids. High level of protein in the body. Medical conditions such as inflammatory bowel disease, hypertension, and gout. Most of the time, kidney stones are small and can be eliminated through the urine, but large kidney stones can get stuck in the urinary tract causing a sharp, debilitating pain in the lower abdomen and back. Symptoms of kidney stones are foul-smelling urine, painful urination, urine containing traces of blood, fever, and vomiting to name a few. There are many ways of getting rid of kidney stones, both by taking home remedies or undergoing a surgical procedure. 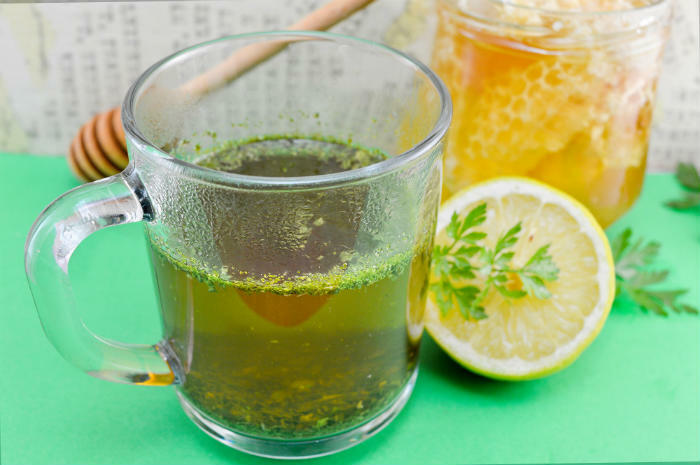 Home remedies consist of having certain food items such as parsley, apple cider vinegar, and lemon juice. Today, we are going to discuss a few parsley based recipes, which can help you eliminate kidney stones. What is it in parsley that makes it so effective for removing kidney stones? The reason you want to opt for parsley to eradicate kidney stones from your body is simply that it contains a very low percentage of sodium. Now, you must be thinking what’s with the sodium. Well, sodium is responsible for the increase in blood pressure, and a high blood pressure can harden blood vessels of the kidneys and result in accumulation of undesired wastes in the kidneys. As a result of which, stones in kidneys are formed. Parsley prevents calcium oxalate(1)from depositing in kidneys, which is perhaps the most common cause of stone formation. Parsley also contains vitamin A, C, and K in a large quantity, which helps in preventing calcification and formation of stone in the kidneys. Parsley acts as a natural diuretic, so all the toxins and excess salts are going to flush out of the body, thus resulting in improved kidney function. Before we go any further, let me just mention that you don’t have to prepare any complicated recipe to eradicate kidney stones. I will explain two simple ways of using parsley. You can use it as a simple infusion or tea. If you want to add it to your dishes, then that will also help combat the symptoms of kidney stones. Take a red copper pan and add a handful of fresh parsley leaves in it. Add fresh water in the pan, and make sure that the water covers all the leaves. Turn on the heat and boil leaves for 4 to 5 minutes and then, remove the pan from the flame. Strain and drink that water 3-4 times a day. If you want, you can add lemon juice to the water as it will give you the much-required taste and will also give additional benefits. Lemon, as we all know, is a rich source of potassium, Vitamin B, and C, so it will also help clean the blood vessels of your kidneys and regulate blood pressure. If you don’t like lemon juice and want to add something else, then you can add olive oil or ¼ tsp salt. If parsley water is not your thing, then maybe you can try parsley tea, which is going to work as a natural cleanser. It is going to prevent the salt from being reabsorbed into your body tissues. As a result, the stone won’t be able to form in your kidneys. How to prepare a parsley tea? You need to boil a cup of water in a red copper square pan or in a kettle. Take ¼ cup of fresh parsley leaves and rinse them under running water. Chop parsley leaves in order to release so of its natural oils. Take a cup and add those leaves at the bottom. Add hot water into the cup now. Fill it to the top. Let all the oils and other vital nutrients get dissolved in the water. It will take 5-10 minutes. Strain the leaves now with the help of a sieve and you get your parsley tea. Drink 1-2 cups on a daily basis and you will see a noticeable difference in the size of your kidney stone. You could also get rid of the stone completely. Note: After pouring water on top of the parsley leaves, just wait for a maximum of 10 minutes. If you keep the leaves soaked in the water for too long, then the tea will become bitter. If you don’t like the taste of the tea, then you can add some sugar or honey to improve the taste. Try these two methods and keep in touch with your medical consultant, and you will be able to overcome this ‘kidney stone’ condition. 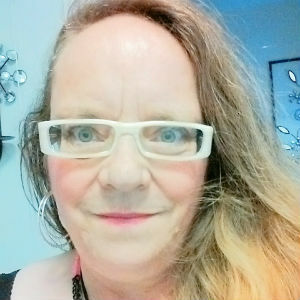 Author Bio: Monica Henin, the author of this blog post is a reputed blogger and a food expert. Her main expertise is in ‘healthy food recipes’ because she believes that food should be consumed to live a healthy life. To know more about Monica and her work, kindly log onto www.addonkitchen.com.